Penn’s Village member, Dr. Schoenbach, will give a brief review of the impact we have had on the music our southern neighbors, and theirs on ours. 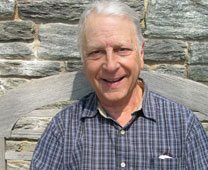 Dr. Peter J. Schoenbach was born in Philadelphia in an 1941 and educated in the public schools and at Swarthmore College. After earning a Masters and Certificate in Latin American Studies at Columbia University and a Doctorate at Rutgers, he served as a music administrator at such institutions as the Curtis Institute, Boston and Wayne State Universities, serving as Dean/Director/Chair. Prior to that he held teaching positions at Columbia, Temple, Rutgers and Minnesota. His last position was The Director of the School of Music at the State University at Fredonia in which he served for ten years. He is an accomplished bassoonist and woodwind coach and has performed at summer festivals such as the Berkshire Music Festival (Tanglewood), Marlboro, and Bowdoin, and was Director of the School of Music at the Chautauqua Institution from 1997 until 2002 where he played with the Chautauqua Symphony and taught bassoon. He has also played part-time with the Philadelphia, Minnesota, English Chamber, Detroit, Buffalo, and Western New York orchestras. He has published extensively in the fields of Latin American Literature, especially theatre with emphasis on Brazil, and the music of the Hispanic world. These articles include "Portuguese Music Today," in the Portuguese Studies Review, and a Study Guide and Bibliography on Brazilian Classical Music by the Institute of Latin American Studies of the University of New Mexico. He retired in January of 2006 and moved to Philadelphia in November of 2007. There he teaches part-time at the Curtis Institute of Music, and continues to play the bassoon, give lectures and serve as a consultant. The program will take place in the MacColl Room at The First Presbyterian Church, 201 S. 21st Street (entrance on 21st Street). The building is handicapped accessible. Kindly let us know in advance if you need this. Please RSVP by email info@pennsvillage.org or call (215) 925-7333. There is no charge for Penn’s Village members and volunteers. We would appreciate a $5 donation from other guests. Other guests are welcome to attend three programs before joining and/or volunteering.